Brent Woodard is a passionate bagel lover, and would regularly start his day with a plain bagel, cream cheese, and a cup of black coffee. That is, until he discovered that he was intolerant to wheat flour. 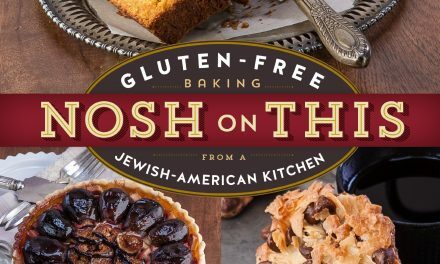 Not satisfied with the taste and texture of commercially available gluten-free bagels, he began experimenting with gluten-free ingredients. After eight months of product development, Brent was confident that he had a bagel better than anything currently on the market that everyone could enjoy. He then launched his new venture – Odd Bagel. It’s been in business for only five months, and success has overtaken his capacity. What is an Odd Bagel like? Right now they come in seven flavors: plain, onion, garlic, poppy seed, sesame seed, salt and everything. Brent and I were going to the same event, and as a special favor, he met me in person, and I bought one of each flavor. The toasted bagel has a nice crunch on the outside and a nice chewy inside. It really doesn’t need butter or jam because it is very pleasant all by itself. But the real test was my wife, who has a traditional bagel for breakfast every day. She found Odd Bagels are delicious and would be happy to eat them regularly. In fact, that is exactly Brent’s objective. He wants everyone to be able to eat together without a fuss or big to-do. “Sharing food with friends and family is important to me – and with the kinds of dietary constraints people have these days, it’s especially important to be able to sit down and share the same good food without having to buy a different alternative for each person. My bagels are made without dairy, eggs or exotic ingredients that really don’t sound like food.” Brent said. 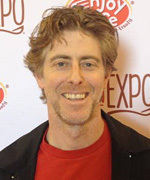 Prior to discovering his own gluten intolerance, Brent made “gluten full” bagels in his own kitchen, and the knowledge he gained was later applied to creating the Odd Bagel products. Once he had created a recipe that was “edible,” Brent recruited a panel of gluten-intolerant individuals to whom he delivered bagels and got written feedback. After three months of feedback and numerous test batches, Brent then tested bagels on people who were not gluten free in order to gauge how close the recipe had come to a standard bagel. Rave reviews in the East Bay Express and J. Weekly confirm the positive feedback. The final determination on whether or not he was on to something? Kids. “Kids just won’t eat something that tastes weird or has a bad texture. And they don’t mind telling you what they don’t like,” Brent said. Brent left his job in the IT sector to take care of his daughter while his wife works. With the launch of Odd Bagel, Brent’s day is highly structured: up by 5:00 a.m. for early morning delivery, home by 7:30 a.m. for breakfast, and then he takes his daughter to school. After that he does business operations and production until 3:00 p.m. when he picks up his daughter from school. Family time lasts until after dinner, when it is back to the kitchen for boiling and baking. He said he will feel very successful when he can pay himself a salary and carve out a little personal time. “Being 100% busy and being focused all of the time is what it takes to start up a business.” said Brent. Brent’s eyes are on production, product development and distribution. Through equipment purchases and process refinement, he is working to increase capacity; he is also working with a product strategist to ensure uniformity and to investigate packaging, distribution alternatives, and possible product extensions. 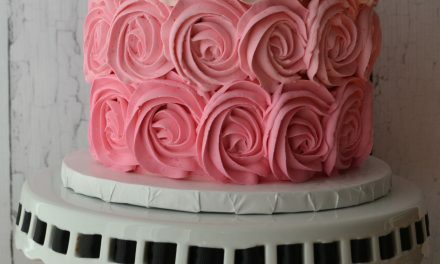 “As a gluten-free product, it has to be as close as possible to the thing it emulates – that is the only way people who aren’t gluten-free are going to eat it. 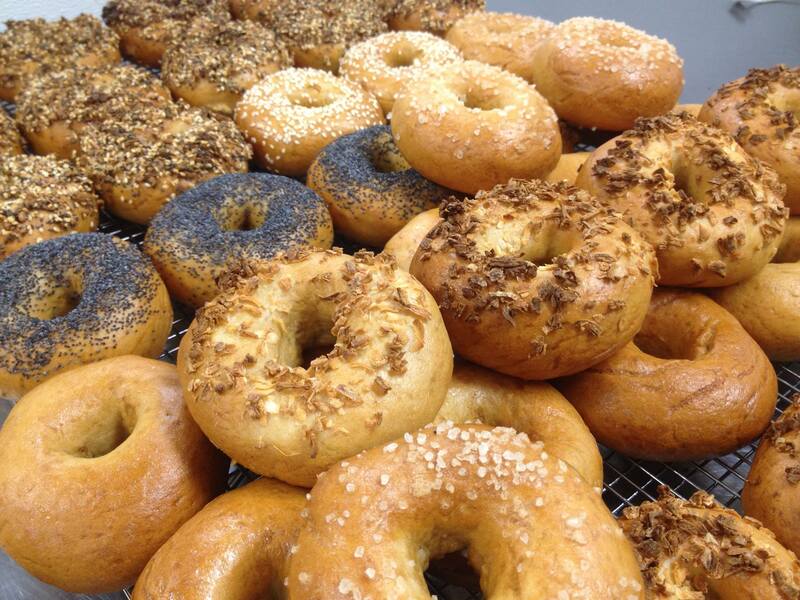 Size, shape, color, smell, taste – all of those things are important to the way people view a bagel,” Brent said. He is presently cultivating a relationship with specialty food sellers in the area in addition to current distribution at Berkeley Bowl, Saul’s Restaurant & Delicatessen and GoodEggs.com. Brent said that staying on track and not getting distracted takes determination because he constantly receives requests from out of the area for mail order (not yet feasible) and from people who want to buy Odd Bagels at their local farmer’s market (not feasible for him personally) or directly from Odd Bagels (no store front at the present). He does offer semi-customized ordering through Good Eggs – different configurations of each of seven flavors in 4, 6 and 12-count packages. Based on sales so far, Brent says that “everything” bagels vastly outsell all other flavors. 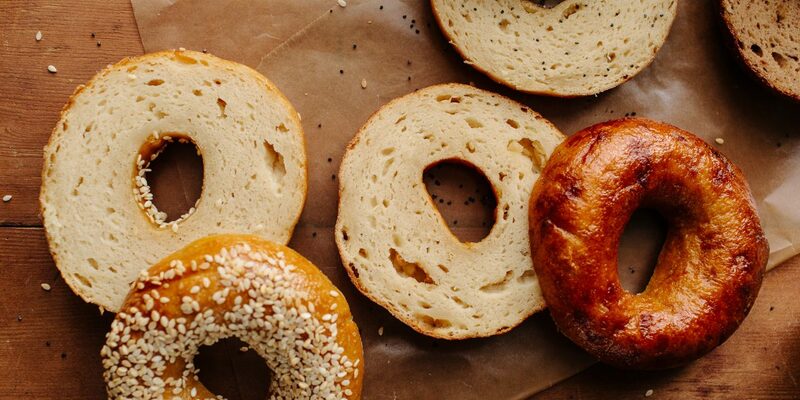 What’s next for Odd Bagels? 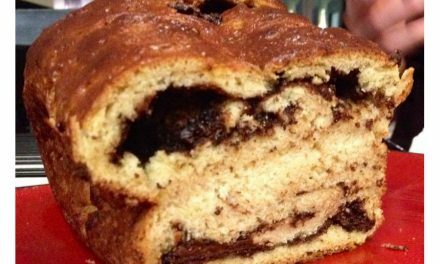 Current customers have requested cinnamon-raisin bagels and blueberry bagels, and those are feasible with a little more development and test marketing. Right now Brent’s main goal is getting fresh bagels onto the plates of people all over the Bay Area, and with Bay Area traffic being what it is, that is a delivery challenge. Brent is working on some surprising distribution partnerships (can’t announce them yet) that should make it easier for Bay Area folks like me to easily get Odd Bagels in my favorite flavor. 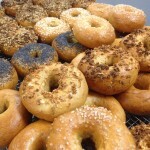 You can track Brent’s progress with new bagel flavors and purchase locations on Odd Bagel’s website: http://www.oddbagel.com/. PreviousHistamine Intolerance: Could it be causing your symptoms?